By Laura Hazard Owen @laurahazardowen March 27, 2019, 12:59 p.m. Citing an “onerous” environment for a “smaller publisher,” Sinclair says it’s shuttering Circa, its video-heavy, platform-focused news property that was aimed at millennials. “While we see new business opportunities with digital video and OTT, they do not require the daily publishing of a website,” Sinclair said in a statement to The Washington Post’s Erik Wemple. Circa has kind of a weird history, which I wrote about here. 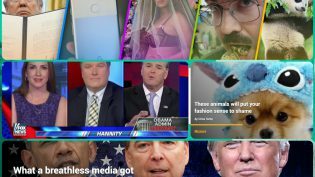 It launched in 2012 as a news app that broke traditional news articles into bits; despite being widely lauded within the industry, it wasn’t able to find a large audience and shut down in 2015. Sinclair — the conservative local TV station owner whose Wikipedia page has a 2,500-word section about its “political views” — then bought the technology (though really the name, the installed base, and some goodwill) and relaunched the property, primarily as a website — “a place where independent-minded millennials could get real facts and talk and join conversations,” then-COO John Solomon (now at The Hill) told me in 2017. The reality was that Circa often seemed like two sites, and an odd mixture of generic-ish viral news stories and breathless reports about the sins of Hillary Clinton that would get lots of love (and dozens and dozens of Circa staff appearances) on Sean Hannity’s Fox News show. In some instances, Circa stories were repackaged for Sinclair’s local TV stations; in others, Circa’s team did separate segments for Sinclair. Solomon and reporter Sara Carter each left Circa, and the site grew to look more like a fairly standard millennial-seeking, albeit one with more interest in video (and animals) than most. Circa struggled to gain an audience in its Sinclair form outside Fox News bookers. Howard Polskin, who tracks traffic numbers for conservative sites at The Righting, noted a year ago that it was attracting only about 1.7 million total visits a month a year ago, and it never cracked his list of the Top 20 conservative sites in audience. SimilarWeb data says monthly visits were below 1.5 million for each of the past six months. So, I was laid off yesterday. It’s rare to have a job that will let you travel and write about how policy is affecting Americans, and Circa let me do that for the last year. Much of the news and enterprise reporting teams at Circa were laid off, so if you’re looking for multi-talented and award-winning reporters, writers, video editors or video shooters in DC, NY or LA, just DM me… I have recs for all your hiring needs! I'm sad for my former @Circa colleagues who were laid off today. There are a lot of talented multimedia news people on the job hunt now. POSTED March 27, 2019, 12:59 p.m.
Owen, Laura Hazard. "Circa, Sinclair’s millennial-focused news site (and the final remains of some interesting mobile ideas), is shutting down." Nieman Journalism Lab. Nieman Foundation for Journalism at Harvard, 27 Mar. 2019. Web. 24 Apr. 2019. Owen, Laura Hazard. "Circa, Sinclair’s millennial-focused news site (and the final remains of some interesting mobile ideas), is shutting down." Nieman Journalism Lab. Last modified March 27, 2019. 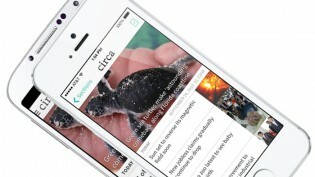 Accessed April 24, 2019. https://www.niemanlab.org/2019/03/circa-sinclairs-millennial-focused-news-site-and-the-final-remains-of-some-interesting-mobile-ideas-is-shutting-down/.